Critical Mass is a new installation by Jonas Lund, in which the artist has transformed the gallery into a speculative space that is reacting and changing based on the users actions and feedback on the critical-mass.network website. 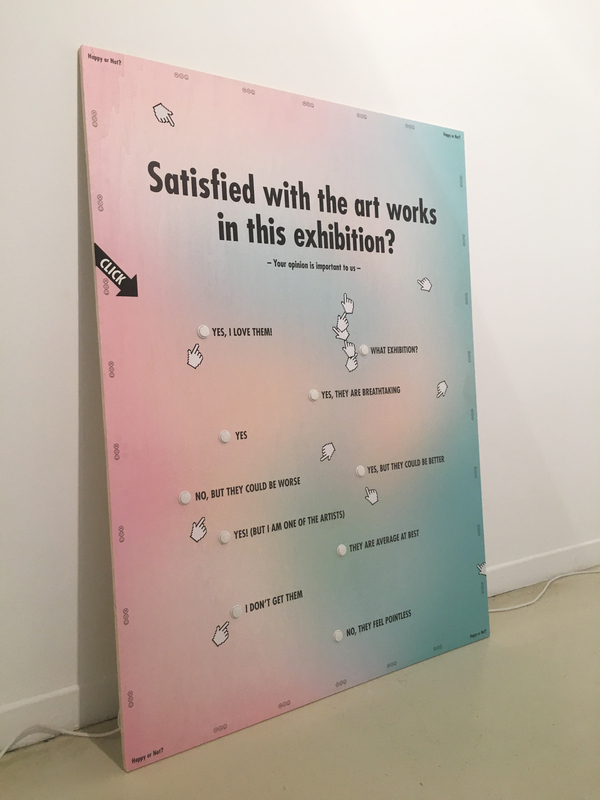 The website shows a live stream of the exhibition and a complex interface that is asking for the users input and opinion. Critical Mass functions as a social network, a game and a speculative space that enables the users to grow their influence and to unlock new levels of control over the exhibition. The idea of a critical mass describes the minimum size or amount of something required to start or maintain a venture. For example, the amount of people needed to leave Facebook at the same time for their advertisers to not wanting to buy ads anymore, thus ending the reign of Facebook as the de facto leader of the social media landscape. Or the amount of people required to start a revolution, to change society based on the masses of dissatisified users. The false promises of agency within the contemproary social media networks are tricking the users into believing their slogans: “Your Opinion Matters”, “We Give Everyone a Voice”, “We Show You What You Want To See”. To paraphrase Agent Smith from the Matrix — what good is a voice if you are unable to be heard? Critical Mass is a website, a social network, a game and something in between. It allows you to test your influence, leave your feedback, alter the exhibition and talk with the others. In Critical Mass you control your agency and you have a say over how the exhibition should change and behave. It’s speculation that’s powered by the users – the critical mass. It gives everyone a voice and here your input really does matter. We take you where you want to go!